On my way to the Smoky Mountains in March of 2011, I stopped in the small town of Dillard, Georgia. I stayed the night at a wonderful place called The Dillard House. They have a fantastic restaurant and outstanding accommodations. The plan was to get up early the next morning and visit a few different sites that I wanted to photograph in the area before continuing on. One of the places I went to on this same day was Toccoa Falls which is featured in this blog post – The Falls Behind The Trees. Upon my arrival the night before, I spotted this church located just up the street from where I was staying. As someone who has a fascination with older architectural styles, I knew I had to shoot it. The sky was beautiful that morning with lots of clouds and a rich blue color. The front of the church faces due east, so the lighting was perfect. The bell tower with the stainless steel top, the brickwork, and the double arched doorways were just a few of the elements that attracted me to it. 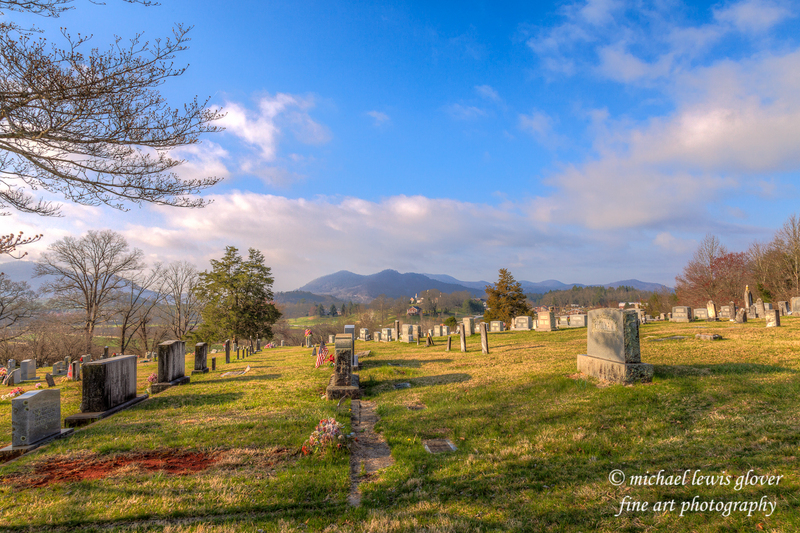 On the south side is the cemetery with a beautiful and peaceful mountain view. Construction of this building was completed in 1932. The opening service was held on August 21st. To read more about this church and it’s history, click here to visit their website. 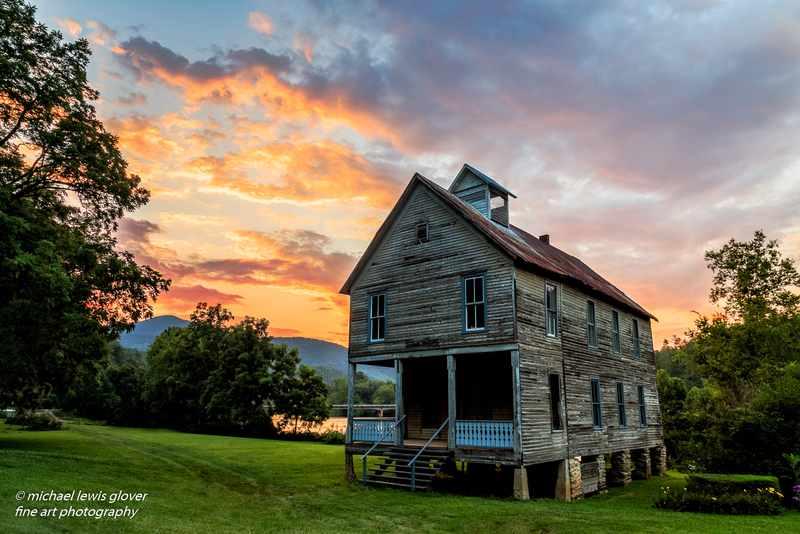 Also if you would like more history on this area, you can click here to see early photos of the church, The Dillard House, and other historical buildings. To enjoy a larger view, please click on the images below! 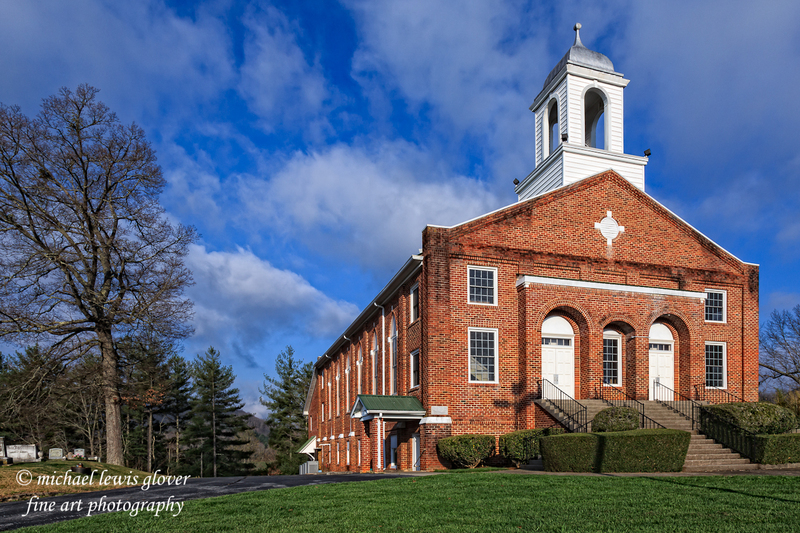 Just inside the park boundaries of the Great Smoky Mountains National Park, is a church that up until my last visit, I had never even seen before. Perhaps because of the foliage on the trees during the different times of the year? Maybe. Who knows for sure. On this particular occasion, the trees were bare. I spotted the church to my right way up on the hillside. I had to turn around and come back to a side road that went in that direction. With the church now in front of me, I found a small parking area to stop and get out. As I ascended the hill, the tall building loomed overhead blending very well into the surrounding forest. The small wooden sign next to the pathway stated that this was Lufty Baptist Church. Established in 1836. Reconstructed in 1912. 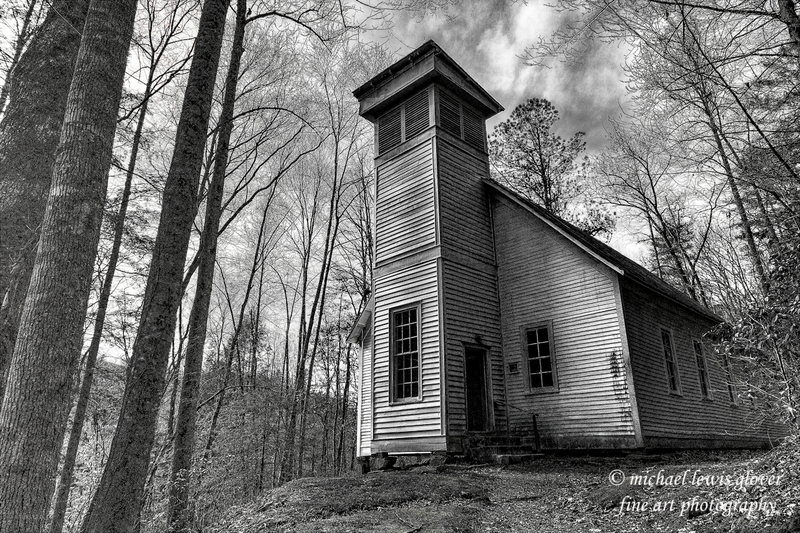 It is in an area of the park known as Smokemont, on the North Carolina side. Although the church was closed in 1939, it is open to park visitors who wish to see the inside. On my April 18th post I presented a picture of a nice country road I came across in my travels. This time I bring you the church I was headed to. 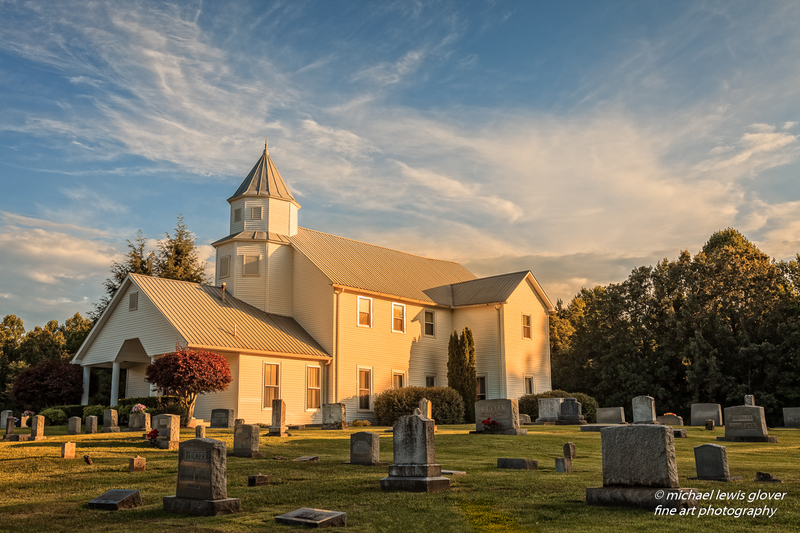 With a peaceful country setting, this is the Linden United Methodist Church in Sumter County, Florida. This one has been on my subject list for awhile and I finally got around to shooting it. The lighting was pretty nice this day and the sky was providing me with lots of clouds. 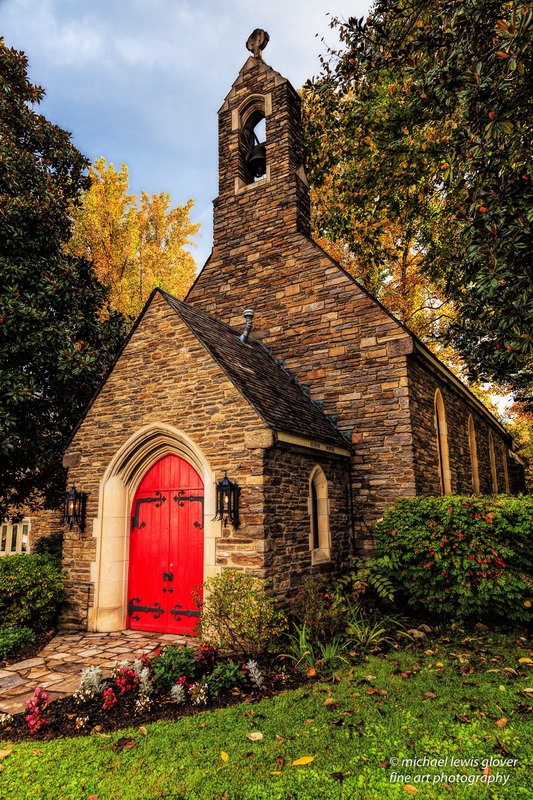 I really love the architectural styling of the older churches. I walked around for a few minutes looking at the different angles trying to decide how I wanted to shoot it. The trees with the flowing moss really seemed to set it off. The sunlight reflecting off of the clouds directly over the church just added to the scene. I hope you enjoyed viewing today’s post. Please feel free to leave any comments you might have as I really like hearing from my visitors! Please click on image to view a larger version! This is another image from Scott Kelby’s 4th annual Worldwide Photowalk. Situated in downtown Kissimmee, Florida is The First Presbyterian Church. It has the distinction of being the oldest church in Kissimmee and has been in continuous operation since it was founded in 1884. The cloudless sky lent itself to a very bright sun and highlighted the moss covered trees to the point that they were almost glowing. Capturing this in HDR was the only way to get all of the details in the scene. For a little more history on this church check out their website.